The first decision issued by the new USPTO Precedential Opinion Panel (POP) tackled the difficult issues of statutory interpretation of sections 35 U.S.C. § 315(b) and 35 U.S.C. § 315(c). In sum, the Board determined that both same party and issue joinder is proper in inter partes reviews (IPRs). The Board also determined that otherwise time-barred petitions are proper when accompanied by a joinder request to a pending IPR. The Board interpreted the statute in a manner to maintain broad discretion for the Agency. The POP could have properly interpreted Section 315(c) by first focusing on the statutory language “join as a party” as being limited to any person not already a party. Instead, the decision dismissed this viewpoint and stated that “the statutory phrase ‘any person’ broadly applies to the phrase ‘join as a party’.” Although I disagree with the emphasis on “any person,” I anticipate that the Board’s reasoning on both same party and issue joinder would be upheld as proper statutory interpretations by the Federal Circuit, if appealed. In addressing time-barred petitions, the POP, arguably, digressed from the statutory language. The decision states that “[t]he second sentence of § 315(b) refers back to ‘[t]he time limitation set forth in the preceding sentence’ and provides an exception to that time limitation for a request for joinder under § 315(c).” This part of the POP decision, however, may soon be overturned by the Federal Circuit in VirnetX Inc. v. The Mangrove Partners (2017-1368). During the January oral argument, Judge Moore stated that the plain language of the 315(b) statute is that only the request for joinder is not time-barred and does not waive the time-barred petition. Specifically, Judge Moore asked, “so why isn’t [315(b)] properly interpreted as, you may file a request to join two properly filed petitions beyond the one-year period of time?” Judge Reyna also questioned what “is the purpose of the time-bar” if there is going to be a back door by using a joinder. Unless the Court avoids the issue on other grounds, I expect this portion of the POP decision to be overruled. To temper possible concerns that the decision is completely pro-petitioner, the Board stated that it “will exercise this discretion only in limited circumstances—namely, where fairness requires it and to avoid undue prejudice to a party.” Although this language is somewhat comforting, the Board perpetuated, hopefully unintendedly, a false anti-patent owner narrative as justification for granting joinder requests. The decision states multiple times that “actions taken by a patent owner in a co-pending litigation such as the late addition of newly asserted claims” justifies allowing a petitioner to file additional time-barred petitions. This reasoning ignores the ongoing discovery issues in litigation and the fact that the petitioner had full control of the scope and content of the original petition. If IPRs were in fact created to review “bad patents” as a quality improvement, and not just to resolve litigation issues, the petitioner should be encouraged to challenge all claims it believes are invalid. The decision unfortunately only focuses on resolving party conflicts, not patent quality, by stating that denying such petitions “may encourage a petitioner to hedge against the time bar and challenge more claims than the patent owner asserted, and thus more claims than are necessary to resolve the dispute, thereby increasing the costs and decreasing the efficiency of the entire system.” Elimination of all invalid claims in one proceeding should be a goal the USPTO embraces. In summary, although we may disagree with specific reasoning or decisions, everyone should be encouraged that the USPTO created the POP to provide more transparency and certainty to PTAB proceedings. At least we now have a ring leader in the kangaroo court. Just that is an improvement. But it remains a kangaroo court lacking honor and unworthy of respect, acondition that can only be fixed by disbanding it. I concur with your assessment that PTAB is a “kangaroo court,” and should be disbanded IMMEDIATELY. How is a precedential opinion supposed to work? I get they can designate it as precedential but how is that enforced? So if a panel doesn’t follow the precedent (or you think they didn’t) what is your recourse? I don’t see how this would work without an appellant board over the PTAB within the PTO. A precedential opinion is also kind of weird when you think of it without an appellant court. 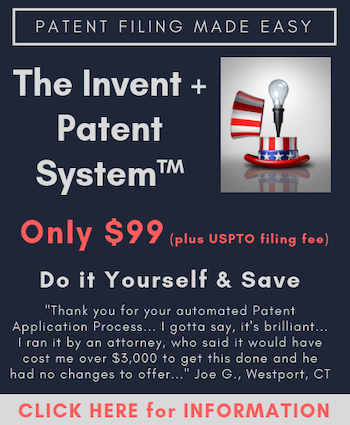 It actually shows that the PTAB is not independent as the patent judges must be reviewed and not following precedent would be a negative tick? But then interpretation is probably not up to the patent judge but the chief judge. I’d have to think this through more, but I think this is odd.